Victoria never lost hope. Not after her parents died when she was a girl, not after she was forced to start begging in the streets, and not even when she began developing a massive facial tumour when she was only 18 years old. Now, the resilient 23-year-old sat on the deck of the Africa Mercy, one hand holding a blue cloth to her bandaged face. Above the white bandages, her eyes sparkled when they caught the sunlight. It was difficult for her to speak after her tumour removal surgery, but warmth radiated from her smile. Her story was begging to spill out. Her journey, like that of many of the patients who come to the ship, was marked by courage. It was not a short one … nor was it easy. Her travels took her from the far north, beyond Cameroon’s borders, on an arduous three-day journey to the port city where the Africa Mercy is docked. Orphaned from an early age, the brave young woman made the trip alone. She was accustomed to facing obstacles. She had spent her adolescence fending for herself – living on the streets and sometimes forced to beg for money. Then the tumour appeared, slowly expanding over her face, affecting her in ways that stretched beyond the physical. It was difficult to eat or speak clearly. People avoided looking at her, and it became more challenging to find work to earn a living. Victoria could have easily given in to the bitterness of a hardened heart. But, even in these difficult circumstances, her love for Jesus remained. It shone brilliantly in her eyes and was evident in her gentle spirit. After hearing about Mercy Ships, Victoria bravely left the familiar behind for a chance at a brighter future — one without the weight of the tumour that had burdened her for five years. Victoria’s time on the ship gave her plenty of opportunities to exercise her engaging smile. While recovering from surgery, she celebrated her 24th birthday on the Africa Mercy, surrounded by fellow patients and caring crew members. Before long, Victoria’s bandages were removed, and she saw herself tumour-free for the first time in years! “Thank you for making me beautiful,” she said to a nurse. “You’ve always been beautiful,” the nurse replied. Victoria’s first surgery left her free to eat, speak, and move with much more ease than before, but her journey to a full recovery was not yet complete. A routine second surgery awaited her to tighten the stretched skin on her chin. But as she sat on the deck in the warm sunshine, Victoria’s journey to healing had already begun. By bravely telling her story, Victoria shared the hope she received, and her powerful transformation is evident in her beautiful smile and sparkling eyes. ‘Thanks for making me beautiful,’ Victoria told a nurse after the surgery to remove her tumour. ‘You’ve always been beautiful,’ the nurse replied. Ms Trainor developed a deep love for animals as she grew up on the farm, and after high school, she trained as a veterinary nurse and developed a keen interest in anaesthesia while working in animal surgery. This, in turn, inspired her to retrain as an anaesthesia technician. ‘I moved from veterinary nursing to anaesthetising people because it was always such a fascinatingly part of the vet nursing job, but anaesthetics is quite limited with animals. So I moved to humans!’ Helen worked in the cardiothoracic and ear, nose and throat specialities in Auckland before heading to the U.K. to work in a large London hospital where she heard about the world’s largest civilian hospital ship operation, by the not-for-profit Mercy Ships, providing essential surgery for some of Africa’s poorest people. 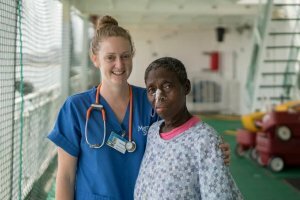 These days, Pirongia-born nurse Melanie Allen begins each shift with a two-minute walk to work – down several flights of stairs and into the hospital deck of the world’s largest civilian hospital ship, Africa Mercy. 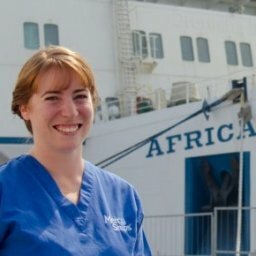 In February Melanie joined the volunteer crew of the 16,000 tonne Mercy Ships vessel in Cameroon, West Africa. Her two-month tour-of-duty has already been both eye-opening and professionally challenging. The 24-year-old is assigned to the ‘plastics’ ward caring, for both child and adult patients after they have received free reconstructive surgery for disabling burns. Armstrong had a large keloid tumour removed from his chin. Melanie is checking his pain level after surgery. Cameroon can boast only 77 physicians for every million people, so even if patients could scrape together enough money to pay for treatment, timely care is simply not accessible. Similar statistics are echoed all over West Africa, which is why the not-for-profit has been operating hospital ships in the regions for decades. 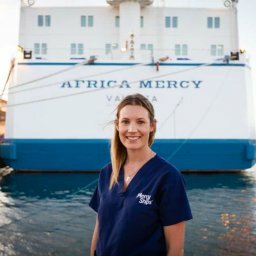 ‘The Africa Mercy is unique because each year it sails to countries that most need help. It is like a little city with all sorts of people with various roles on board. People from all over the world come to volunteer their time and expertise. It is so well organised and I feel very supported. ‘Each morning the chaplaincy team come into the wards, and there is singing and dancing with African drums. During the evening patients pour out into the hallways where there is singing and dancing African-style. It can be very loud! It is an environment full of joy, love and thankfulness. Prayer is integrated into patient care. At the start of each shift we gather together and our team leader prays. Serving with Mercy Ships has taken me back to the heart of nursing. There is less paperwork and more quality patient time. It has also challenged me to be more creative with the way I communicate with my patients across culture and language barriers. French is the main language spoken here in Cameroon but there are many other languages also. I try to learn key phrases that I can use, frequently use interpreters (our lovely local day crew), picture pain scales etc. I have also experienced how a smile or warm gesture can go a long way. 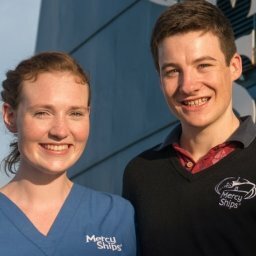 The Mercy Ship and her crew feature in the eight-part National Geographic series The Surgery Ship, on SKY Channel 072 beginning Saturday 7 April, at 6.30pm. For more information and behind the scenes stories, return to the homepage. 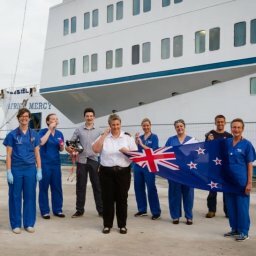 Around 40 New Zealanders volunteer with Mercy Ships every year for weeks, months and even years at a time working in medical, maritime and operational capacities. 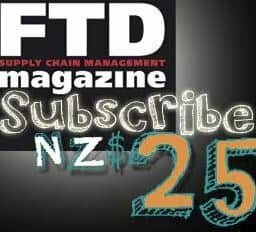 To see the incredible results of the work of these hidden Kiwis heroes, watch The Surgery Ship. 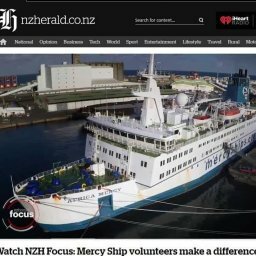 LISTEN ONLINE to RNZ’s Nine to Noon interviews nurse Deb Adesanya about the special bond speaking the local dialect gave when interfacing with her patients, and other remarkable aspects of her five-month voluntary service on the Mercy Ship. The backstory: Caring for children recovering from major surgery was Deborah Adesanya’s assignment olunteering in the wards aboard the 16,000 tonne hospital ship, Africa Mercy. Some of her most poignant moments were with babies receiving surgery to correct birth defects like cleft lip and palate. Most of her long-stay paediatric patients were recovering from surgery to straighten their badly bowed legs or plastic surgery for cooking-fire burns. Both operations restore limb movement that will give these children a fresh chance at a decent future. One of the 26-year-old volunteer’s most memorable patients was a boy named Saidou. Saidou was three years old when, while working in the fields with his father, a strong wind blew on their camp-fire and it burned out of control. He was badly burned causing severe damage to his arms, chest and neck. In a developed nation Saidou would have been rushed to an intensive care unit but, like most people in Benin, his family had no access to either medical care or pain relief. Against all odds and despite the lack of treatment, he stubbornly clung to life. The agonising burns gradually healed, and scarring contracted each joint it crossed. He grew up with restricted upper body movement and for the following eight years Saidou’s jaw was pulled so tight, he could make only garbled sounds. The little boy was trapped in an immobilised body, unable to speak through the remaining tiny O-shaped mouth. Yet despite the trauma that constricted every part of his life, Saidou was indomitable. He defied pity – endlessly fascinated with the world around him and often creating his own world of make-believe. Somehow this remarkable child was both even-keeled and happy despite all. After years of saving the family eventually scraped together enough money for treatment which failed. They were demoralised as Saidou’s condition worsened. When they heard the news that Mercy Ships was coming to Benin to provide surgery and rehabilitation free of charge, Saidou and his parents gained new hope. After assessment by the one of the ship’s surgeons, Saidou was admitted for complex burns contracture release and plastic reconstructive surgery. He was placed in Deborah’s ward for his long post-operative recovery. As Deborah and the nursing team cared for Saidou during his long weeks of recovery, they made sure to take time to play games with him. They encouraged him and prayed for him and, with the help of the ward translators, told him about all the new things he would be able to do when he finally went home. After weeks of physiotherapy, Saidou is now able to move his arms and begin to regain lost movement. He can move his head and neck from side to side. But the most poignant achievement of all was when Saidou began to speak in complete sentences for the first time—ever. His parents were deeply moved to simply hear his voice. Saidou was finally able to express things he had been thinking throughout those long, silent years of his childhood. He had a lot to catch up on. He was so excited to call his mother – 10-hours-travel away – and actually talk to her. His dad was consistently kind and gentle, staying within arm’s reach for the 134 days his son received care from Mercy Ships. He took enormous delight in declaring that his son was now a chatterbox! “You have saved my life.” Mabouba’s voice breaks as she expresses her gratitude. After six years, her life-threatening tumour is finally gone. ““It was in 2010 that it started,” the 23-year-old recalls. At the time, Mabouba was finishing up her junior year of high school with plans to become a midwife. The tumour changed all that. “I have no donation, no gift to give you. But God says when you care for your neighbour, heaven will be guaranteed for you. So I wish you heaven,” she declares. 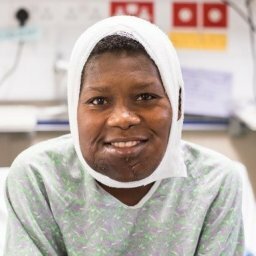 The award-winning image ‘Searching for Hope’ was taken of Mabouba by Mercy Ships photographer Kat Sotolonga prior to surgery. Kat was awarded by The Lancet – renown UK general medical journal – in their annual medical-related photography competition. Congratulations Kathryn Sotolongo and Mabouba! After five years as an intensive care nurse at Christchurch Hospital, Jess Doney is used to dealing with crises. Her acquired skills have been put to the test when she recently stepped into a new and extraordinary surgical environment. The 26-year-old signed on articles for a two-month tour-our-duty in Benin, West Africa, providing care for patients who receive free essential surgery that is inaccessible in their own nation. 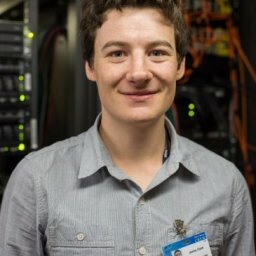 Jess worked primarily in the ship’s ICU, and one of the five wards where she cared for patients of all ages recovering after the removal of huge, benign yet life-threatening, tumours. But what Jess says she didn’t expect during her volunteer service was a shift in her own perspective, “Mainly in being thankful for the ‘little things’. Lack of access to safe surgery results in more deaths worldwide every year than HIV, tuberculosis and malaria combined, according to the World Health Organisation (WHO). There is growing international acknowledgement of what theatre staffs have long known and advised: accidental trauma, birth complications and the lack of surgical intervention for amenable disease conditions causes millions of people annually life-long disability or death. Empowered by the rising profile given to the accessibility of surgery in developing nations by the findings of The Lancet Commission on Global Surgery a movement has begun; a new determination to make access to safe and affordable surgery for the poor a reality. 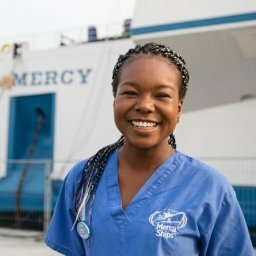 For nearly 40 years Mercy Ships, the hospital-ship charity, has quietly made it a priority to provide safe surgery for people who otherwise would have no options. Mercy Ships joined the newly formed Global Alliance for Surgical, Obstetric, Trauma and Care (G4 Alliance) in 2015. The Lancet Commission’s report was published later that year with a vision to ‘embed surgery within the global health agenda, catalysing political change, and defining scalable solutions for provision of quality surgical and anaesthesia care for all.’ Together these bodies are stimulating a growing recognition that safe surgery must be an integral part of the global health agenda. 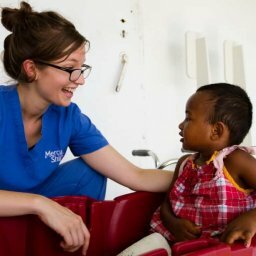 During 2014–2016 the Mercy Ship Africa Mercy completed two ten-month tours of duty in the island of Madagascar, off Africa’s eastern coast where 95% of Madagascar’s 23 million people live on less than $1.25 per day to cover all their needs: food, shelter, clothing, education and healthcare. Since much of the population lives in remote villages, it was common for patients on the hospital ship to explain how they had walked for days – sometimes carrying a child – to reach any public transport. From this point, basic healthcare may be accessible, but at a crippling cost. Before any treatment is undertaken, the patient must pay for – and sometimes even source – sutures, IV bags and fluid, dressings, bandages and pharmaceuticals, everything that is needed for treatment. 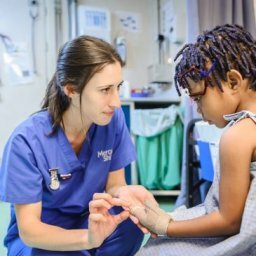 So when free reconstructive or life-saving surgery was offered by Mercy Ships, patients and their families often broke down with tears of relief. Few had any other options, or even hope, for healing. While in Madagascar, Mercy Ships launched a mobile education team. The ‘Checklist’ team of three to five doctors and nurses travelled a gruelling 16,829 kilometres to every regional hospital, even in the most inaccessible areas. They coached local healthcare professionals in the understanding and use of the WHO Surgical Safety Checklist. 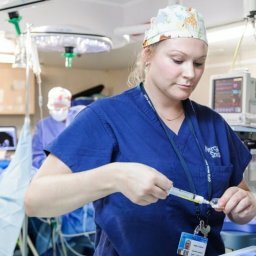 This simple tool helps any surgical team to improve safety in surgery. It has been proven that using the checklist has decreased operating room mortality by nearly 50% and significantly decreases surgical complications and infections. In New Zealand and many parts of the world, this checklist is now mandatory. In Madagascar it was not utilised effectively. 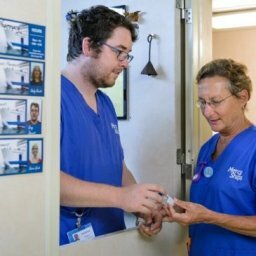 Mercy Ships came alongside every region in the country and assisted them in creating their personalised checklist and provided the participating hospitals with pulse oximeters. Safer surgery is being performed throughout Madagascar as indicated by a follow-up visit after three months which showed a Checklist usage rate of 80%. Further assessment will take place in 2017. The Checklist team collected national healthcare data never previously compiled, and worked with other organisations to support the government in developing a national surgical plan. 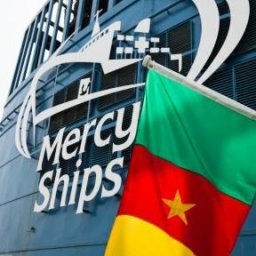 In August the Mercy Ship sailed to Cotonou, Benin where the crew have 10 months to engage in medical capacity-building and provide healthcare for thousands more Africans in desperate need of both hope and healing. 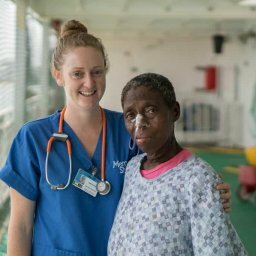 Each year dozens of New Zealanders – including theatre nurses, anaesthesia staff, surgeons and other healthcare professionals – volunteer with Mercy Ships. 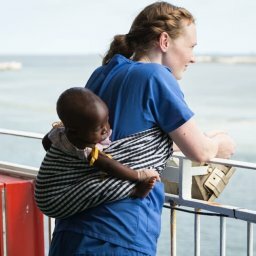 The not-for-profit is Africa-focused, with a mission to provide free surgery for those in greatest need, and to train medical professionals to continue their work long after the ship departs. Esther Meyer, theatre nurse from Drury volunteered for five months in the on board theatres during 2014, in the Republic of Congo. She found it to be impacting both on a professional and a personal level. 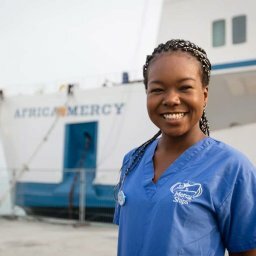 Esther explains, “As the Mercy Ship is a floating hospital it is able to move to different locations, while still providing an excellent standard of care. It provides a place where local health professionals can come on board to learn valuable skills, without having to leave their own country. 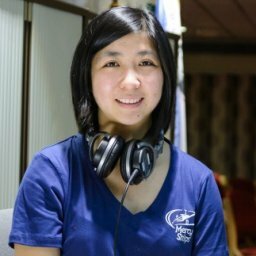 “The camaraderie between the volunteers is unique. No one gets paid and there is no hierarchy in the operating room. We worked hard as a team with all the same goal in mind. The operating room is a fast paced and fast turnaround of staff. 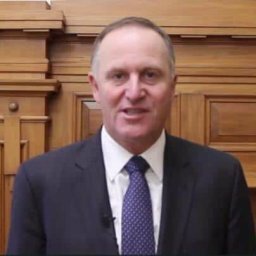 In New Zealand we have a wide range of ethnicities, so it wasn’t hard to feel at home. There is a mixture of British and American terminology inside the operating room, but plenty of understanding and patience. Laughter helps to break down barriers, and friends are made quickly. To be able to serve alongside such knowledgeable people, and to have the opportunity to learn from them, was very exciting.